"Connectedness with nature and ability to go with the flow, like a surfer dancing through the waves"
BEAN & VANILLA offers only the finest quality wood watch can offer and only use SAPPHIRE CRYSTAL (found only in LUXURY watches) in all of our designs. We design and create inspirational, functional and transcendent of time pieces. We build quality products that inspire people back to nature because we believe that Nature isn’t just out there, but a part of You! PURE, NATURAL SANDALWOOD: Features 100% natural, genuine Red Sandalwood that is sustainably harvested. Each watch is unique, with a one-of-a-kind grain and wood formations. 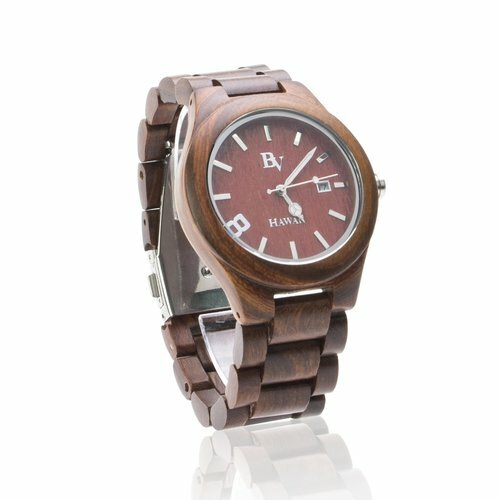 All our wood watches have been carefully oiled to bring out each wood’s rich color. Unlike low quality bands, our genuine hardwood gets better over time - it is shined and polished by the natural oils from your skin. 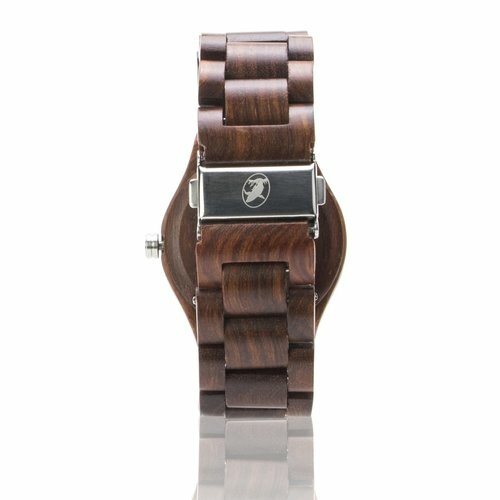 COMFORTABLE, NATURAL DESIGN: From our skillful craftsmen who have worked with wood for over 20 years, you can rest assured our wood watch delivers one of the highest quality present today. Our watches are designed in Honolulu, Hawai’i and inspired by the natural beauty and ancient symbolism found throughout the Hawaiian Islands. 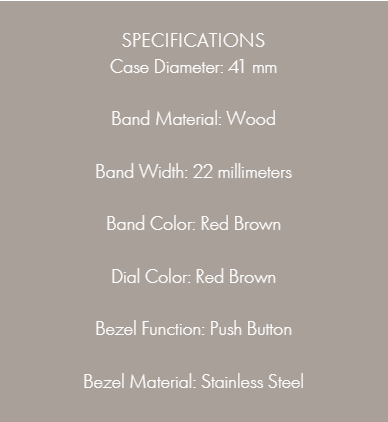 This watch features light weight wood combined with a logo-stamped stainless Steel push-button deployant clasp. EXCEPTIONAL QUALITY AND DURABILITY: We use only the best materials for our watches. The dial is made of Sapphire Crystal - the most resistant crystal there is. It’s the second hardest substance on earth that only a diamond can scratch it. The date is displayed on the face of the watch. Internal workings use Citizen Movement, a refined and accurate Japanese design. Size can be adjusted by adding or removing links. Each watch comes with a Bean & Vanilla stamped box. ONE YEAR WARRANTY: Our watches are guaranteed to last, but in case there is a manufacturer’s defect, we will replace the watch for you (within one year of purchase).